Using the finest materials, he combines hand-made craftsmanship with cutting-edge technologies to create timeless designs. 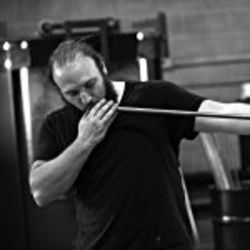 Trained in glass, ceramics and sculpture, Uri has honed his craft over the last decade and continues to produce both functional designs, as well as sculptural pieces. He has worked and taught in studios across the United States, Italy, Australia and New Zealand. Now based in downtown Los Angeles, Uri has assembled a team of artists, designers, and fabricators to help render his vision. Together they are producing innovative designs that are a reflection of the murky line that has always existed between art and technology. Both organic and highly ordered, Neptune Glassworks' designs seek to challenge the false dichotomies of logic and free-association; masculine and feminine; transparent and opaque; old and new.